Wait, DOA has a Story? Team Ninja has been busy these past couple of months. Between the beta, the trailers, the Deluxe Demo, and the unfortunate Evo livestream, fans and news sites have had a lot of DOA news to eat up. 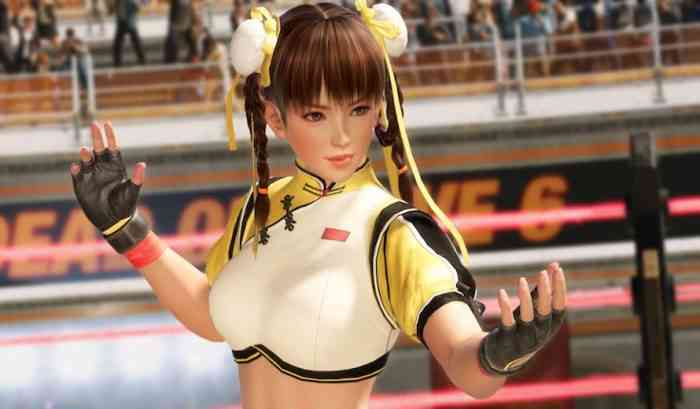 Now, it is here along with the Dead or Alive 6 launch trailer to give a taste for fans who are not picking it up just yet. The narrative of fighting games is often overlooked in favour of the combat, which is the core element of them. Despite this, the launch trailer seems to focus on cinematic scenes from the game. The trailer opens with a new character NiCO who is interfacing with a program for M.I.S.T., which debuted in Dead or Alive 5. After a Team Ninja logo appears, we switch to a few in-game fight scenes showing off various examples of stage-specific environment interaction. This includes Brad Wong falling through layers of scaffolding, Christie riding a pterodactyl attacking Zack, and a T-Rex crashing through a fence and trashing a jeep with Diego in it. The trailer then switches gears to a bunch of cinematic scenes with either very vague dialogue or cool and dramatic fights. Now, I’m not up to date with the Dead or Alive lore and story, but I see what appear to be a bunch of Kasumi clones being sliced up by Hayate and Hayabusa. We also see a short scene of Marie Rose and Honoka rounding a corner and bumping into each other; possible vendetta?! The trailer wraps up with scenes of Raidou in a man-sized test tube. Dead or Alive 6 is out right now for PC, Xbox One, and PS4. Will you be picking it up? Let us know in the comments down below.